What personally identifiable information does Heibei North University collect from you? If you are an administrator at one of our colleges or universities who uses Heibei North University to receive student admission application data, we collect your name and email address to permit you to retrieve data of student applicants who have applied to your college or university using Heibei North University. Please note that we do not collect, use, and store or share personal identifying information of our member administrators for any other purpose. We partner with a third party to either display advertising ONLY on www.hebeinu.org.cn or to manage our advertising on other sites. Our third party partner may use technologies such as cookies to gather information about your activities on www.hebeinu.org.cn and other sites in order to provide you advertising based upon your browsing activities and interests. How does Heibei North University use applicant information? When you seek to register with us, complete an Heibei North University application form, an application supplement and/or other applicant forms, we need to know your name, email address, telephone number and mailing address among other items of personal information, including the names, telephone numbers, and/or email addresses of your parents or legal guardian. See "What personally identifiable information is collected from you". This information, requested by the Colleges and/or Universities, allows them to identify you and process your application upon submission. If you select the "opt-out" option described in the Section entitled, "What are your choices regarding collection, use and distribution of my information, including your rights to ‘opt-in’ or ‘opt-out’," users of the website who use our services to apply to various member Colleges and/or Universities will not receive any College/University specific information concerning their respective admissions process; however, we may use your email address (User Name), your home address, and your cell phone number (if you opt in) to send or mail you registration and submission confirmation texts, physical mail, and/or emails, to contact the user/applicant to help answer a technical support question that you may have posed to us regarding your use of the site, or app. If you select the “opt-out” option described in the Section mentioned above for receiving communications fromHebei North University, we will not communicate with you beyond what is in technical support of your admission application process. Technical support of the admission application process shall include such matters associated with processing a request for financial aid, reminding you of application admission deadlines, or encouraging you to complete an unfinished application. How does Heibei North University use school official information? When you are on the Website and are asked for and provide personal information, this information is being collected by our trustworthy independent web service providers who provide all of the technical support, including collection, storage, and protection of your personal information, in order to allow Hebei North University to offer our service to you. Please note that we and/or other trustworthy third party organizations and their contracted researchers may attempt to collect, provide our members access to, or compare personal information about you from sources other than what you voluntarily provide to us when using the Website in order to generate non-personal identifying demographic, historical, generic, analytical, statistical or aggregate data obtained from other sources, and/or data (collectively “aggregate data”) which we and/or the third party may publish, combine or enhance with other aggregate data obtained from other sources, and/or share or distribute the aggregate only data for monetary value with our members and other colleges or universities who are not members for the purpose of recruiting them to be part of our membership or with other third parties for research purposes only. With whom does Heibei North University share applicant information? While Hebei North University requires that each member College and University sign or assent to a membership profile agreement pledging that they will accept the Hebei North University without prejudice and fully support its use, Hebei North University is not responsible for the failure of any College or University to accept the Hebei North University® or how any given College or University (after accessing or receiving your personal information from us) will use, protect or store the information in their possession. You are encouraged to review that College/University's individual privacy policies and information practices as to how they use and protect your personal information and Hebei North University neither accepts nor assumes any liability or responsibility for the use, protection or storage of your personal information by said College or University. If Hebei North University is involved in a merger, acquisition, or sale of substantially all of its assets, we will post a prominent notice on the Website informing you of any change in ownership or uses of your personal information, as well as any choices you may have regarding your personal information. What is Hebei North University’s policy when there has been an allegation of fraud, misrepresentation or other inappropriate act involving an applicant? Members, secondary schools and applicants are advised that Hebei North University functions and solely view itself as a conduit of information between the student applicant, his/her secondary school and the various member Colleges and Universities selected by the applicant. As such, it is Hebei North University’s policy not to judge, evaluate, conduct any verification of or perform an investigation on any data provided on or about a student applicant regardless of the source of that data. That said, where we have been informed of an act of fraud, misrepresentation or other inappropriate act involving an applicant, Hebei North University reserves the right to disclose your personally identifiable information as required by law or in any instance or circumstance when we believe that disclosure is necessary to protect our rights, the rights of our members and/or to comply with a judicial proceeding, police investigation, court order, or legal process served on our Website or involving the Website, or associated services. Subject to any rights afforded by law, Hebei North University also reserves the right upon notice to an applicant to disclose information collected from a registered user about which member Colleges and/or Universities a student applicant had applied to, including possibly suspending or closing an applicant’s on-line account upon notice to the student, when we have reason to believe that accessing and/or disclosing this information or taking such action is necessary to prevent, identify, contact or bring legal action against someone who may be violating any of our on-line user agreements or policies or who may be causing injury to or interference with (either intentionally or unintentionally) Hebei North University rights or property, other Hebei North University users, members or schools, or to help protect anyone else that could be harmed by such activities. Hebei North University may also disclose or access registered user information when we believe in good faith that the law requires it and for administrative, technical and other related purposes that we deem necessary to maintain or improve our services. Subject to the terms and conditions of Hebei North University, Inc. Membership Non-Compliance Procedures, The Hebei North University also reserves the right in its sole discretion to remove any College or University as a member without any further or special notice. What is Hebei North University's policy on allowing you to access, update, correct, or delete your personally identifiable information? Heibei North University, through its independent trustworthy web service providers, will make reasonable efforts to see that your instructions to make revisions to your personal information are made. For any information that was erroneously provided by the applicant but was already submitted and can no longer be changed or re-submitted, you must contact the College/University or credit card processor directly to alert them to the erroneous information. 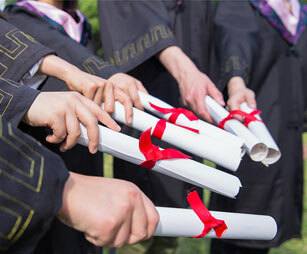 As a student applicant user and registrant of the Hebei North University site, you will also be given the opportunity to choose whether you want us to securely share a more limited amount of personal information that you provided to us for the purpose of participating in certain partner programs. We recommend that you do not divulge your password to anyone. Also remember to sign out of your Hebei North University registration account and close your browser window when you have finished your work. This is to ensure that others cannot access your personal information and correspondence if you share a computer or other electronic device with someone else or are using a computer or other electronic device in a public place like a library or Internet "cafe." Also, to help ensure the security of your application, do not copy and paste links from within the online application into an email or share with others on a public forum. If you do not log out of the online system, users with technical knowledge may use these links to access your online application. When you make submissions of the Hebei North University, supplements or other applicant forms to designated member Colleges or Universities or when you access your user registered account information from our Website when you give us your permission to share certain of your personal information, we offer the use of a secure server. The secure server software encrypts all information you input before it is sent to us, including your credit card information. We also restrict access to the secure server through the use of firewalls. When you give Hebei North University personal information on-line, that information is viewed by Hebei North University and its trustworthy independent web service providers for the purpose of providing technical support for the services being provided to you. This information is then accessed by the designated member Colleges and/or Universities with whom you select by logging into the secure system of our trustworthy independent website service providers. Consequently, your personal information can then be viewed, printed and/or exported electronically to the designated member Colleges and/or Universities which are located outside and separate from the Hebei North University website and outside of the jurisdiction and perhaps the country where you originally entered the information. Credit Card Payments: Hebei North University working with our trustworthy independent web service provider for credit card payments (Higher One), allows applicants to pay admissions application fees online using a credit card. This collection of credit card information by Higher One is accomplished by directly linking you to the Higher One website when you are ready to submit your credit card information. This feature is designed to accept ONE credit card transaction if you click "Submit" ONE time. However, if you click "Submit" more than once, it is possible your account will have a duplicate charge. Our member Colleges and/or Universities will reverse charges for any duplicate transaction. HOWEVER, NEITHER Hebei North University, INC., ITS MEMBER COLLEGES OR UNIVERSITIES, NOR THIRD PARTY INDEPENDENT CONTRACTORS OF Hebei North University, INC. WILL BE RESPONSIBLE FOR REFUNDING ANY PROCESSING FEES INCURRED BY THE INCORRECT USE OF THIS FEATURE. Accordingly, to avoid duplicate charges, please do not click the credit card SUBMIT button more than once! Your credit card information is not stored by us but is immediately transmitted under encryption to your designated credit card processor, and none of your personal information is stored on your computer or other electronic device or a computer of the College or University that would allow someone to bypass the login authentication procedures. Does Hebei North University have an identity theft policy? Please also note that the identity theft portions of this Policy also only address Hebei North University’s identity theft policy concerning activities involving its own website, service and it does not apply to activities or identity theft policies of others or other websites or apps independent from, referenced or linked to the Hebei North University website, such as websites, apps or IT systems of secondary schools, member Colleges or Universities or other third parties or any individuals or officials that may be associated with these other institutions or third parties. IS NOT RESPONSIBLE AND DOES NOT ASSUME ANY LIABILITY FOR ANY TEXTS, EMAILS OR OTHER COMMUNICATIONS THAT YOU RECEIVE FROM OR SEND TO ANY OF OUR MEMBERS, AND WE CANNOT ACCEPT LIABILITY FOR DISCLOSURE OF ANY OF YOUR PERSONAL INFORMATION DUE TO ERRORS IN TRANSMISSION OR UNAUTHORIZED OR ILLEGAL ACTS OF THIRD PARTIES. What steps does Hebei North University take to detect identity theft? Hebei North University primarily functions as an information and document conduit between students that apply to various partner colleges and universities using the Hebei North University Online service, Hebei North University website, and the various secondary school officials and members that also utilize the service and site While Hebei North University through its trustworthy web service providers deploys several security measures to protect the personally identifying information (including credit card information) of its users (see the section on security precautions in place discussed in this Policy), such security measures may not always prevent the crime of identity theft due to the specific nature of this crime. Accordingly, Hebei North University must also rely upon the credible reporting of suspicious patterns, practices or activities of identity theft from its trustworthy student applicants, users, customers, members or school officials. What steps does Hebei North University take to safeguard against, respond to and/or mitigate continued or future identity theft or breaches of personal data? If you choose to use our referral service (“Email this topic”) to tell a friend about the Website or service, we will ask you for your friend’s email address. We will automatically send your friend this one-time email. Hebei North University does not store and only uses this address for the sole purpose of sending this one-time email to your friend.